Almost anything can be a source of inspiration. Although the subject may seem simplistic to some, I believe a writer can bring any topic to life if they write about it from the heart. A reader can sense that heart behind a piece, even if the subject doesn’t appeal. And true magic happens when a writer’s heart speaks to a reader’s heart at just the right moment in time. 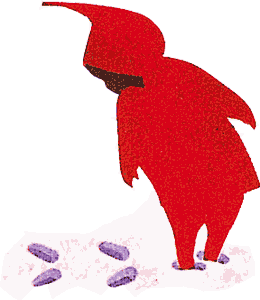 For writer and Spokane Indian Sherman Alexie, that moment came when he picked up Ezra Jack Keats’s “The Snowy Day,” a beautifully simple story about a young boy exploring during the first snowfall of the season. Like Alexie, I remember a similar moment of connection with a set of fictional characters. 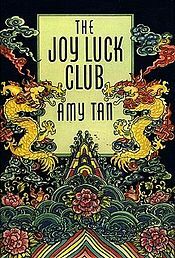 Although I was a voracious reader long before my incredible high school English teacher, Anna Belle Akers, recommended Amy Tan’s “The Joy Luck Club,” that recommendation was a turning point in my life as a reader, writer and student. It was the first time I really sensed a teacher viewed me as an individual and — almost — an intellectual equal. It was also the first time a writer and her f ictional characters seemed to be speaking directly to me. As a writer working on several non-fiction projects and just beginning the first draft of a children’s book, I can only dream of creating that heart-to-heart connection with readers some day. As a teacher, I aspire every day to be as inspirational as that high school English teacher who was insightful and courageous enough to recommend a book featuring concubines and opium overdoses to a high school kid who would one day become a writer and teacher herself. I wish all former students could say the same. And I can say from experience that a teacher would be called into the office for a little chat if she recommended The Joy Luck Club to the wrong student. I had a fabulous teacher in the fourth grade. She encouraged my love of books. That year for Christmas, I asked for, and got, ONLY books, 21 in total. Without her, it would never have happened. Books are still just about the only thing my family gets me for holidays! That is awesome about the inspiration from teachers!! ENJOY every book you read!! I try to find something to like in every one.